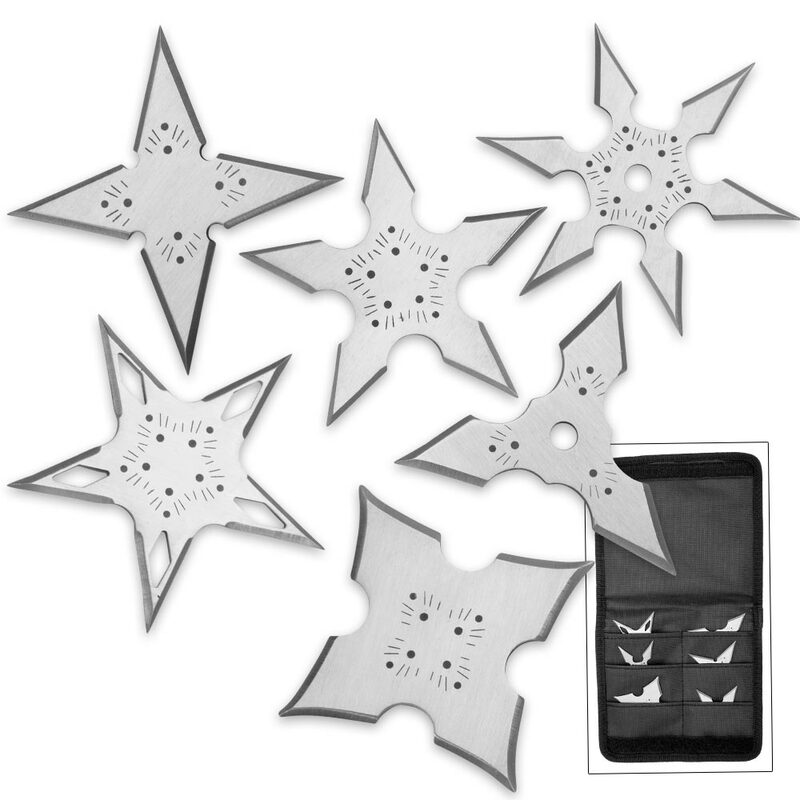 The Silver Ninja Throwing Star Set is a must-have for the Modern Ninja! Each star has multiple piercing points and sharp edges for ultimate target penetration. The set features six different designs and shapes. The 3” double-edged stars are made of rust-resistant stainless steel. 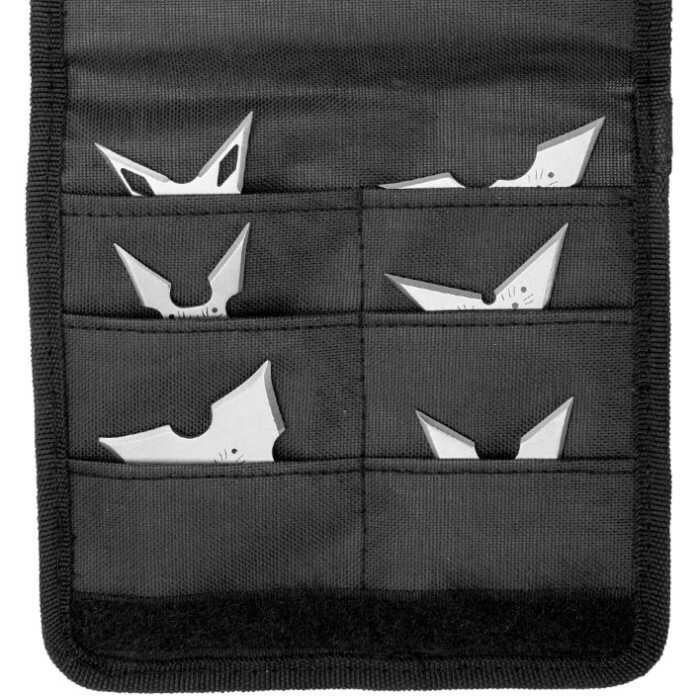 The set comes in a nylon pouch with pockets for each throwing star. Take on our Ninja six-pack and improve your throwing skills. 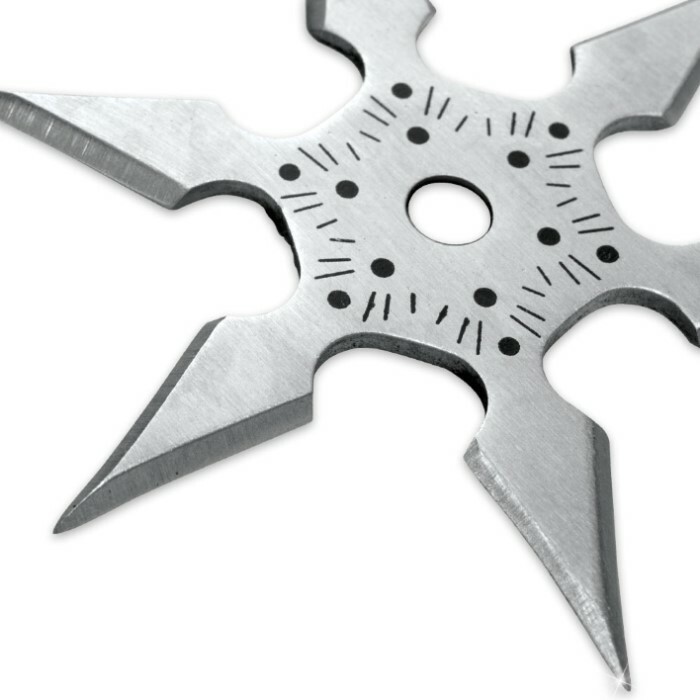 The only thing I don't like about these throwing stars is that they are very small and thin, which makes it light, and if they are light they don't throw far. Other than that they are great. High quality metal and very sharp. Only thing is that they are slightly unbalanced but overall they are great.